I’ll do my usual actual reviews, but before I get into the themes and style and blah blah, I want to pull out separately the three elements that struck me as particularly dangerously egregiously in support of the extremist religious community in India. 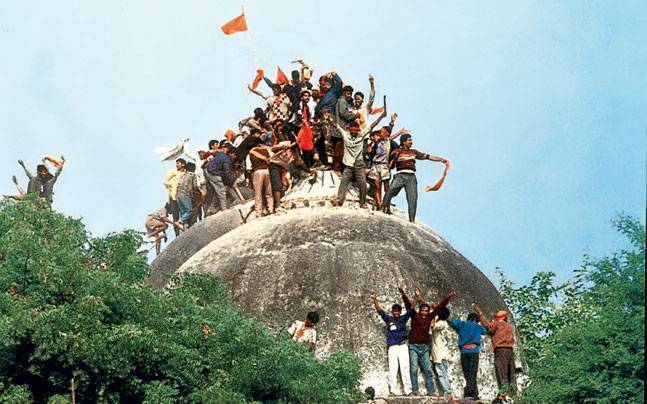 1.Orange Flags: Orange is a symbol in today’s India of the Hindu right wing, it is something you might wear in a riot to identify yourself as part of “our” side instead of “their” side, orange flags were triumphantly flown from the top of the rubble after the destruction of the Babri Masjid, and so on. And in this film, the orange/saffron color us used to denote the “good” side in the battle. But I find it less disturbing than in other movies, because at least this time it is not openly saffron versus green, but just saffron versus the British. 2. The protection of the temple and dismissal of Sunday: During one of the battle scenes, the British “evilly” move their canon behind a temple. Therefore the Jhansi warriors can’t fire at them, because that would mean damaging the temple. And the Jhansi warriors truly don’t fire, there is no way around this impossible challenge. Destruction to a temple is the worst possible tragedy (according to this film), worse than the fall of the fort itself. This is extra disturbing since we had an earlier scene in which Kangana sneered at the British protesting that they could not insist on their men attending a Jhansi ceremony on a Sunday. She pointed out that they had fought battles on Sundays, and even celebrated Queen Victoria’s birthday on a Sunday. Who is she to decide how they should be celebrating their religious practices??? Who is she to determine that there is no difference between celebrating the birthday of their Queen AND THE HEAD OF THEIR CHURCH and a mandatory attendance on a ceremony that has no connection to their faith? Or their nationalism? It’s petty and mean and disrespectful of Christianity. And now, when the British do the same thing, test the Hindu’s resolve and disrespect their religion, the film declares it to be a terrible thing. https://www.opendoorsusa.org/christian-persecution/world-watch-list/india/). If they keep up at this rate (All India Christian group says, an attack on a Christian every 40 hours, ranging from families being denied water and food, to prayer meetings being violently disrupted and parishioners beaten), they could hit the top of the list in no time. Oh, and before I forget, this movie also has a scene of women and children being dragged from a church and beaten. Coincidentally, I saw a trailer for a movie on Graham Staines just before this film. 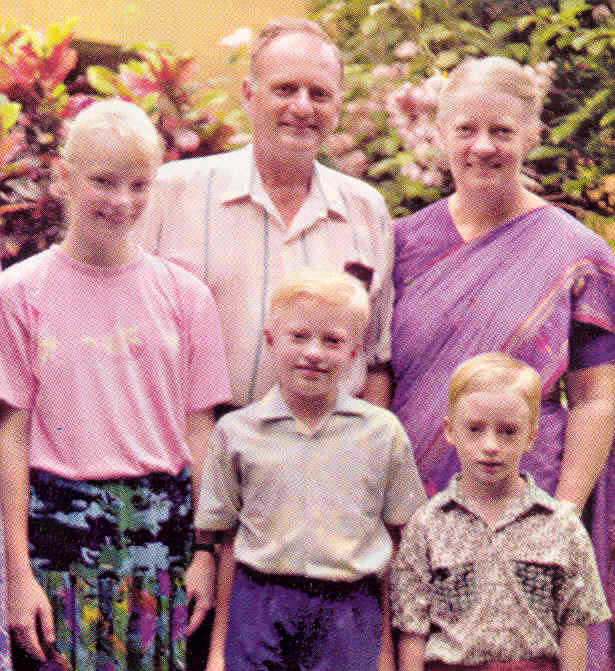 He was a missionary from Australia who ran a camp for lepers among the tribal community. He and his two sons were killed by Hindu fundamentalists when their car was set on fire with them inside. 3. Cow Protection: Without context, this is a perfectly reasonable scene for this kind of movie. There is a nice farming couple with a newly born calf that they treat as a bit of a pet. The evil British show up and steal the calf, the farm wife yells and protests. Good Queen Kangana arrives and hears the story, then goes off to confront the British and take the calf back before they can eat it, declaring it property of the kingdom of Jhansi. She returns the calf, the couple is happy, there is a celebration. It is a nice story of the Queen bending to help those most humble, and it’s both logical and kind of cute that this poor farming couple would put so much importance on a newly born valuable animal. But everyone in India will have the context, and certainly the filmmakers MUST have had that context, and I find it despicable for them to have done included this scene. 20 June 2018, Uttar Pradesh: Hapur, 45-year-old Qasim lynched in UP over cow slaughter rumour This incident was at the center of a sting operation conducted by NDTV. The Chief Justice of India agreed to hear the case based on the sting operation footage. 20 July 2018, Rajasthan: 31 year old Rakbar Khan was lynched by a mob on allegation of cattle smuggling in Alwar, Rajasthan. A police officer was suspended for delaying medical treatment to the victim as he tried to arrange shelter for the cows before taking injured Rakbar to the hospital. 30 August 2018, Lakshmanpur village, Balrampur, Uttar Pradesh: 70 year old Kailash Nath Shukla was taking his cattles to another village for treatment, on his way a mob stopped him and assaulted him badly and threw him in a gutter. So yes, this is just a movie, and it is just a story about the British abusing a peasant family by taking their live stock. But using a story that involves Kangana rescuing an innocent calf from evil men? That is throwing gasoline on a burning building. It is, frankly, shocking. And disgusting. And that alone makes me lose all respect for this film, and the people involved with this sequence. They could have conveyed the same message (Queen Kangana is good to the peasants) any number of ways, they CHOSE to tell this particular story in this particular way. I predicted this WAAAAY back when the trailer came out, Kangana is a BJP mouthpiece (She probably either truly believes that ideology or supports the BJP for strength within the industry, after all she needs it since she’s pissed off just about everyone within Bollywood). Actors and Actresses just need to be mature about what roles they choose and wether they are funnelled into being mouthpieces for political parties. They might gain some kind of benefit by being aligned with a particular political group, but they must realise the POWER held by film in India. India takes films very seriously, more than most other countries, and film, along with social media is an extremely powerful tool that is used by political parties to propagate their message. Recently the production company behind a English language film called “Gandhi Murder” announced that they won’t be releasing their film in India, about the assassination of Gandhi after receiving death threats from hardline Hindu extremists (Who Assassinated Gandhi). Politicial parties putting their hand in the film industry should be sending off alarm bells for Indian cinema viewers, after all Indira Gandhi during her dictatorial spat during the “Emergency” also banned films which she thought went against her. Lets be honest India’s democracy is truly a Miracle, I think people outside and even Indians themselves breeze over how hard it was to establish democracy (And that too the worlds largest and most diverse), no one really thought it would work or even last this long, it would be a shame to see its decline because of a few hardliners in New Delhi. Religions and governing a country don’t go hand in hand,the future India could look a lot like a Hindu version of its sibling, Pakistan, and that is something that should keep any Indian or democrat up at night. I wanted to do this post separately because, unlike Padmavat or Bajirao, the Hindutva message doesn’t actually pervade the entire film. She has Muslim allies, there is no talk about building a Hindu India (just a united one), even the like about Chatrapathi Shivaji from the trailer didn’t make the final cut of the film. But these three elements, especially the cow protection scene, are forced into the movie for clear political reasons. And thank you for recognizing the power of films! I believe that as well, and it is why I make a point of mentioning any political message that I see in a movie instead of simply reviewing whether or not it was entertaining. This is a very problematic article. Best to take it down. I know and understand why some people don’t like to bring politics into a film discussion. But I think its pretty hard to do that when films all around the world are often the most prominent medium to reflect a country’s social and political “mood”. You can’t discuss a film without atleast touching on the underlying socio-political discourse. Based on where you are getting your information, one could get a very biased picture of the situation. Before my 2017 trip back to India, I also was believing in a suddenly very intolerant India, but I did not see anything to confirm that India has changed. I purchased and ate Beef in two different states, from restaurants that had this item on the menu (and displayed it on the road). As for Cow Slaughter being illegal, apparently it has been illegal in many northern states, and only the illegal cow slaughter was stopped in places where it was not already banned(basically implementation of existing rules). “There are now roaming gangs of “cow protectors” who watch the roads, looking for “smugglers” transporting cows illegally”, these Wikipedia picked up lines are just extrapolating someone’s imagination. I am not saying things are all rosy, but its not as strongly bad as you are projecting. If India is getting to Syria level, you need to consider India has many times the population of Syria, so it is not a fair comparison, and India has a vocal opposition news media, and foreign money flowing into institutions trying to project this kind of statistics. I do think its an issue if people like Amir Khan are complaining about Tolerance, but I do know a collagemate of mine who got a National Level award, who was being pressured by the community of his peers to give back his award. A lot of this is going on in the background also. Depending on who your FB friends are, you get to read what you want to read only. Best part is this Government you are against does not have more than 35% of the voteshare, and if there is a good alternative, has a low likelihood of winning this years election. Someone like Kejriwal is good candidate, but unfortunately I don’t see him reaching that level in a few months. Rest of the regional players except Chandrababu Naidu don’t have the right image. An new alternative needs to emerge soon, and based on the electoral math, I think it would. Thank you! I take these issues very much to heart, and it makes me feel a lot better to know that there are still multiple voices within India. NO ONE CARES ABOUT YOUR VIEW. So much hate for Hinduism. So you are getting these knowledge from movies and trying to project your opinion on diverse country like India. Ignorance is bliss. Why don’t you look at your own country USA, where psyschos are shooting down people on streets, malls even schools. Innocent children are being killed in gun shooting. Think about them before cows. All thanks to western media Brainwashing.